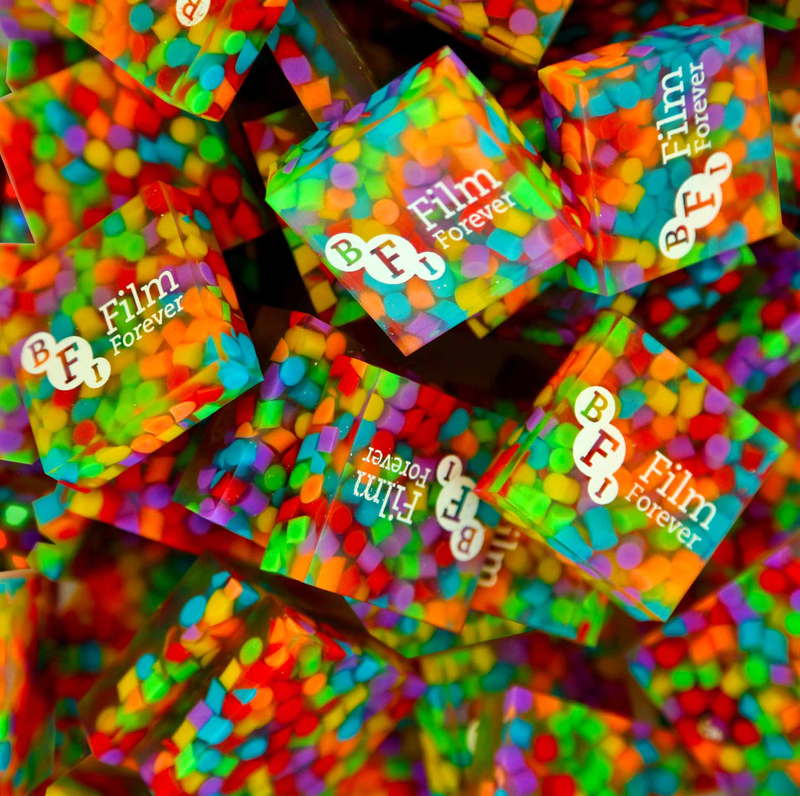 Brighten up your film studies with this vibrant BFI eraser. Brighten up your film studies with this vibrant BFI eraser. Brighten up the library or office with this multicoloured BFI eraser. 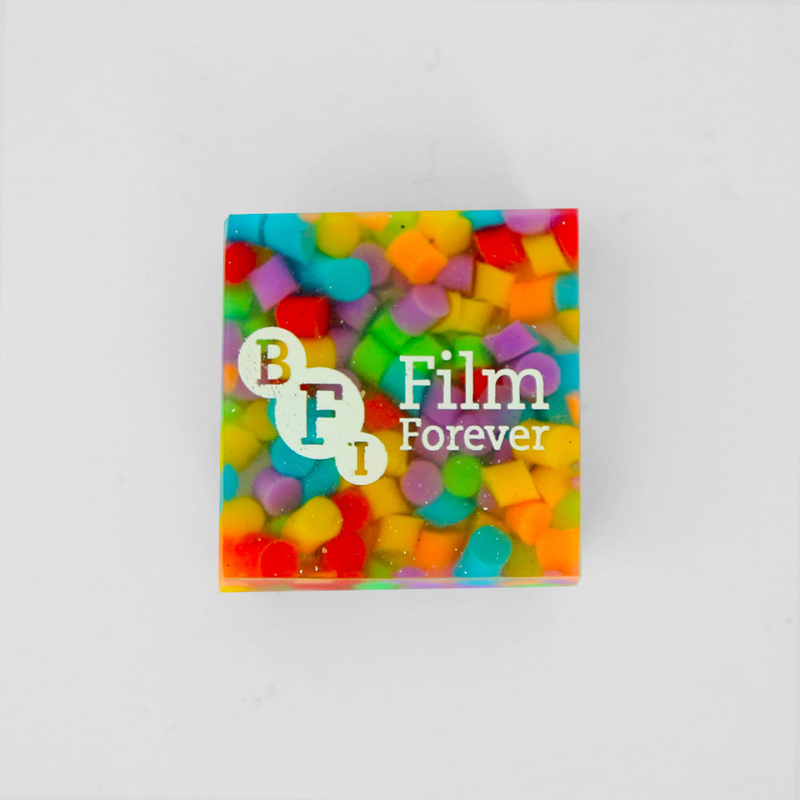 The eraser is squishy transparent rubber, with embedded rainbow coloured pieces and BFI Film Forever logo. A perfect gift for studious film fans.